Protocol Insight today released UNI16COMP UniPro Test Executive v1.1, which is now available for download from http://www.protocolinsight.com. Protocol Insight has provided extensive support of MIPI UniPro Interoperability Test (IOT) events, UFSA IOT workshops and Google’s Project Ara. Through these support activities Protocol Insight has learned that the most common challenges implementing UniPro and UFS include, among other things, Link Startup Sequence execution, Power Mode changes, stress testing and error recovery. 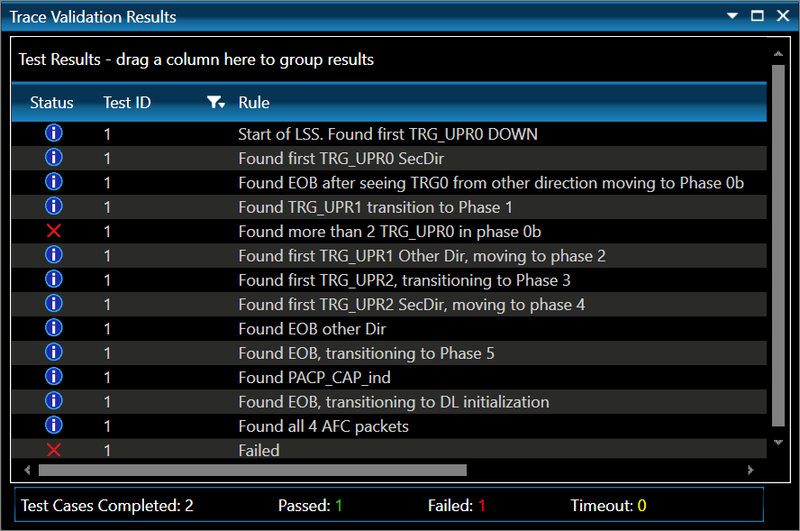 The most common Link Startup Sequence problems include out of order Phase0/Phase1 TRG_UPRx packets, incorrect link startup timeout timers, and capabilities exchange failures. With Trace Validation™ of the UniPro Link Startup Sequence, complex LSS packet sequences are simplified into easy-to-visualize phase transition messages to make debugging easier. In addition to easy visualization of the LSS, Trace Validation will flag UniPro v1.61 spec violations of the link startup sequence for easy debugging. UNI16COMP UniPro Test Executive is shipping now, and operates in conjunction with the Keysight Technologies U4431A MIPI M-PHY Protocol Analyzer. Contact sales(at)protocolinsight.com for pricing information or to request a demo or trail license. Protocol Insight (http://www.protocolinsight.com) offers test and measurement software tools to customers who are developing products for the mobile computing market, and consulting and design services to engineers implementing serial protocol interfaces.